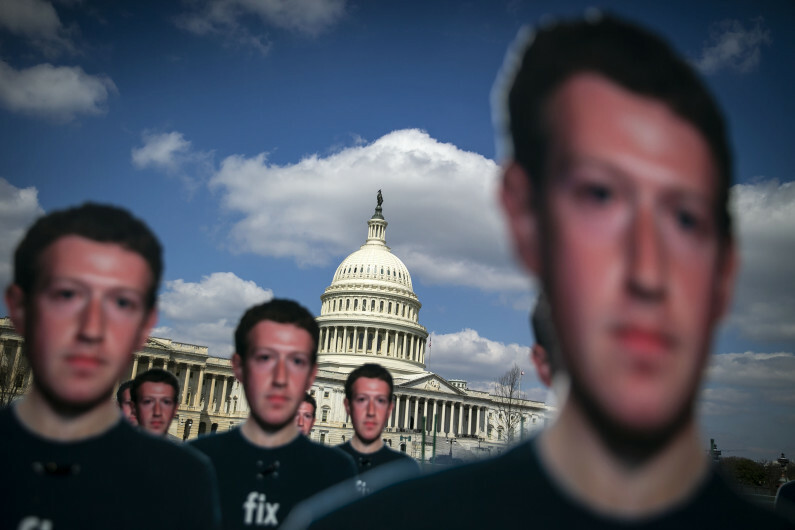 Cutouts of Facebook's Mark Zuckerberg are displayed near the Capitol in Washington, D.C., on April 10, 2018. Facebook CEO Mark Zuckerberg has acknowledged that his company’s lax attention hurt user privacy. But as the 33-year-old founder told Congress, the onus is still on users to protect their personal data. The eerie feeling that a corporation can track your every digital move — and share it — has finally, maybe, awakened consumers that their likes, tweets and other posts are being viewed and gathered by strangers. Of course, this hasn’t been a secret. It has long haunted privacy advocates, well before the recent #DeleteFacebook movement. And Zuckerberg’s revelations this week were even more astounding, including that Facebook collects data on people who don’t use Facebook and the company doesn’t know whether other companies abused user data as Cambridge Analytica did. The attention to personal privacy has put a damper on the advertising industry, not to mention convenient features such as Facebook Login that allow people to use their Facebook credentials to access other apps and sites. And Colorado has many advertising agencies and companies that use Facebook login, including doctor-finder Healthgrades.com, mobile app Ibotta and video tutorial site Craftsy.